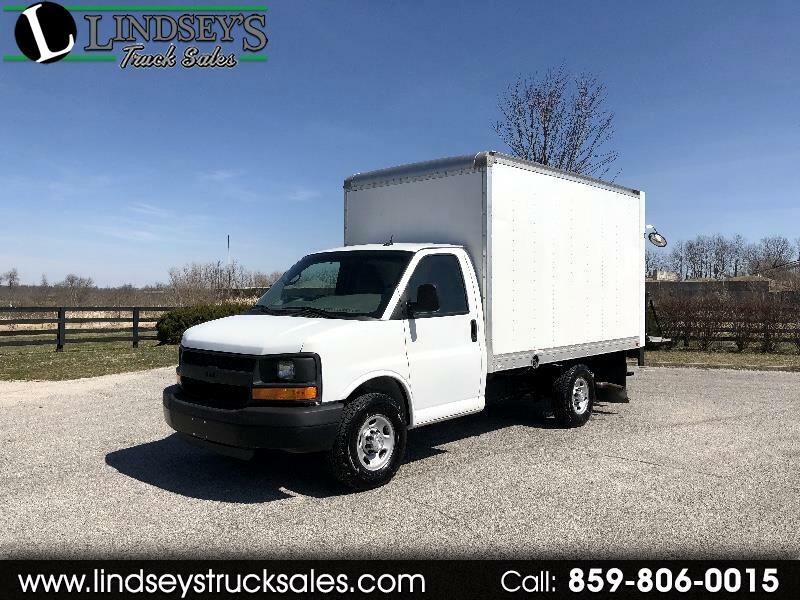 Super low mileage box truck! Features include 4.8L V-8 engine -- automatic transmission -- 1 ton chassis -- single rear wheels -- cloth top bucket seats -- AM FM stereo -- vinyl flooring -- steel wheels -- 12 ft dry box -- translucent roof -- E track tie down system -- padded railing -- 1000 lb. aluminum lift gate -- roll up rear door -- steel step bumper and more. Tires are like brand new all around! Off lease fleet maintained unit.